Handcrafted and highly polished 5052 series .032 thick Aluminum with 5/32″ aluminum rivets. 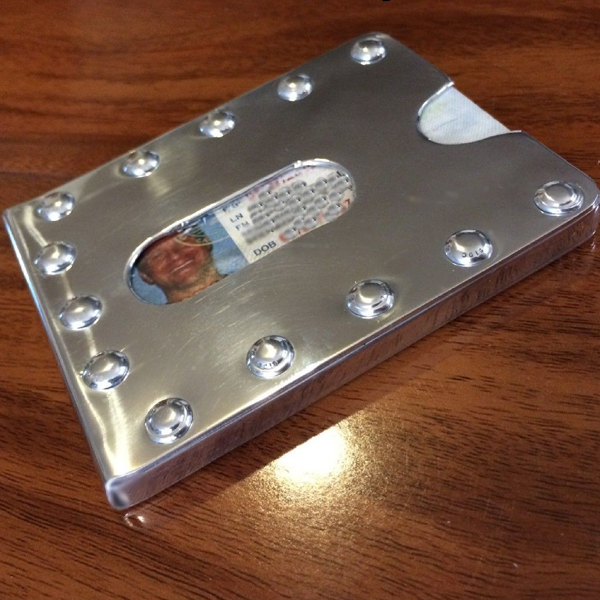 Fits a Driver’s License and 4 embossed Credit Cards. I can also made a slightly thicker wallet that will hold a few more cards. If there are any other designs you would like to discuss with me, let me know, this is my 10th product in the last three months, always new stuff coming out and I welcome your suggestions.